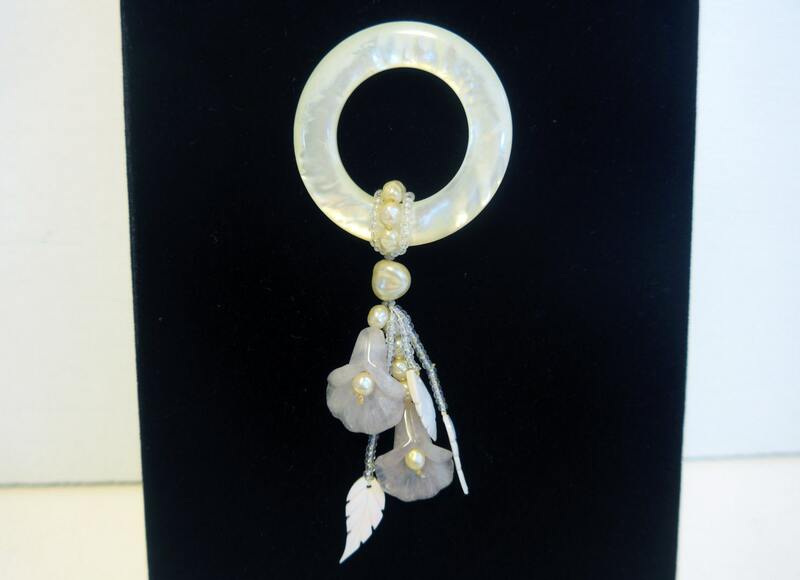 Very unique brooch that is a mother-of-pearl ring with dangling flowers and leaves with pearl and bead accents. Two flowers and three leaves hang from the round center section. 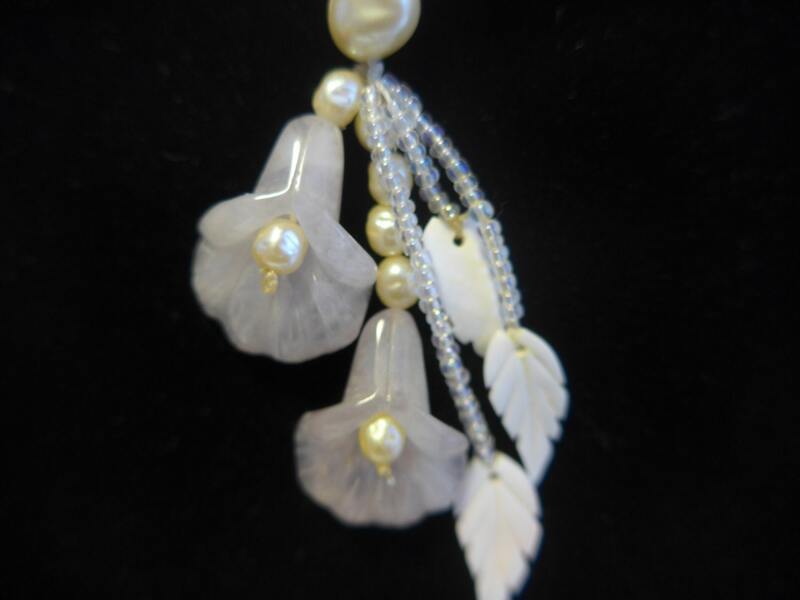 The 2 flowers are mother-of-pearl in a very subtle pink color and the leaves are made of shell. 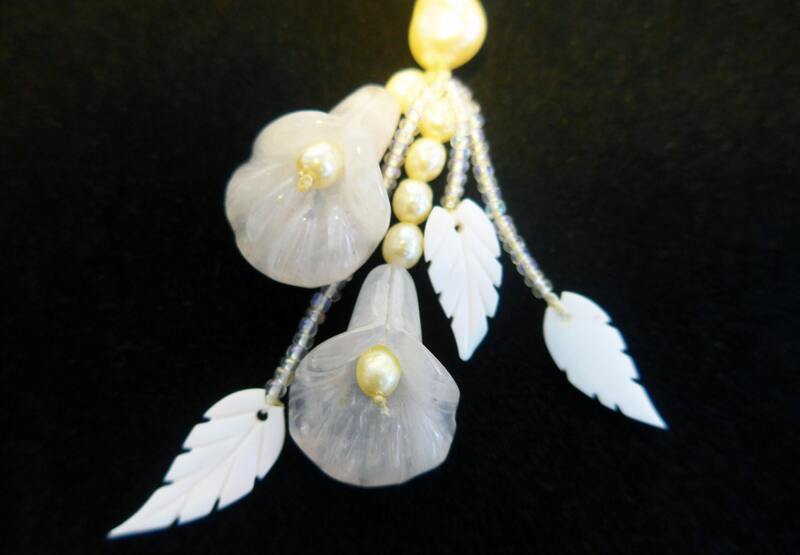 There are different sized pearls that are part of the hanging flower sections and are also in the center of the 2 flowers. 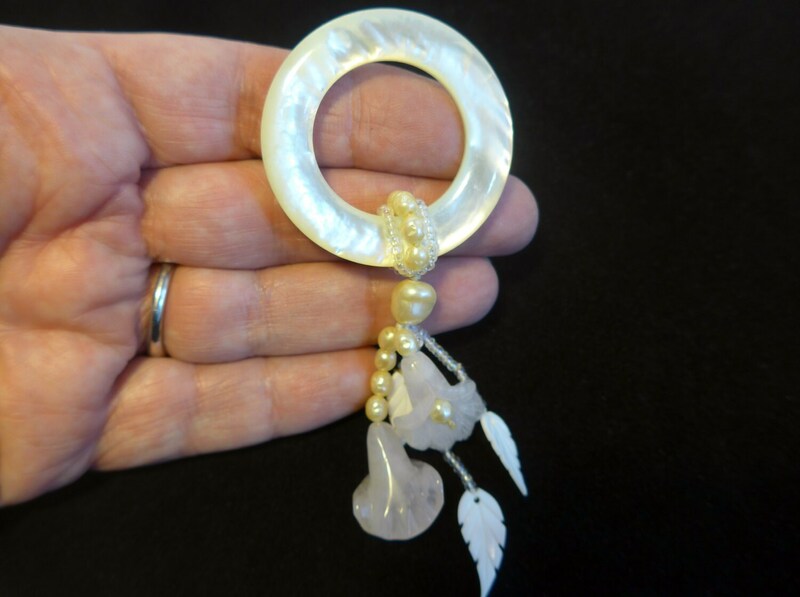 There are tiny beads strings of different lengths that have a shell leaf at the end. The hanging pieces are wrapped around the mother-of-pear round section and hang from there. There is a pin on the back that opens and closes and has a lock to keep it closed. 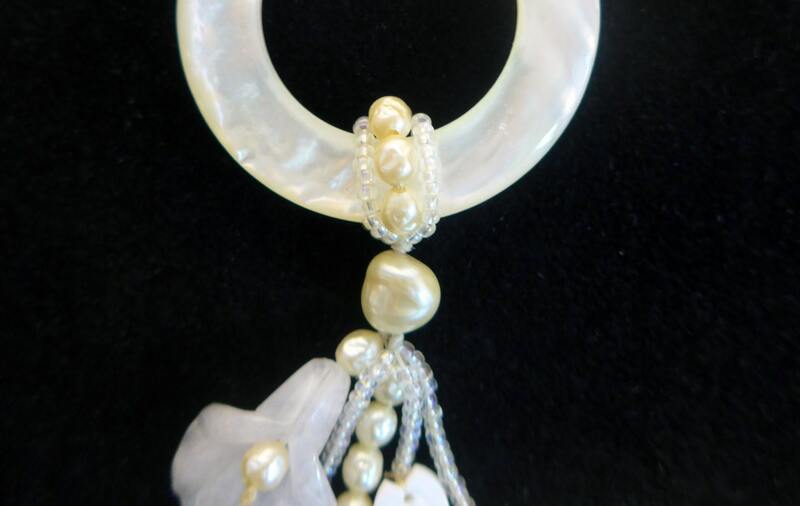 Hangs about 4 1/4" long and the mother-of-pearl ring or circle is about 1 3/4" in diameter. In nice vintage condition with no visible flaws.